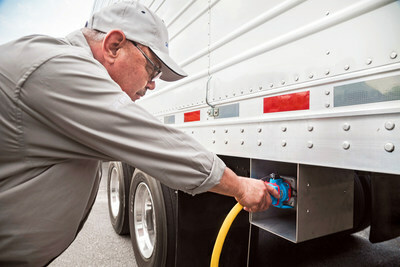 GARNER, N.C., Aug. 7, 2018 /PRNewswire/ -- A total of 32 electric power outlets will help trucks at the Golden State Foods (GSF) distribution center cut costs and lower air emissions as part of a Duke Energy electrification project. NOTE TO EDITORS: A "plug-in" event at the GSF Garner distribution center will occur Wednesday, Aug. 8 at 10 a.m. Experts from all companies will be available for interviews. To attend, please contact Ashley Blua; [email protected]; 818.326.5369.